Folkmoot was aptly named at its inception. 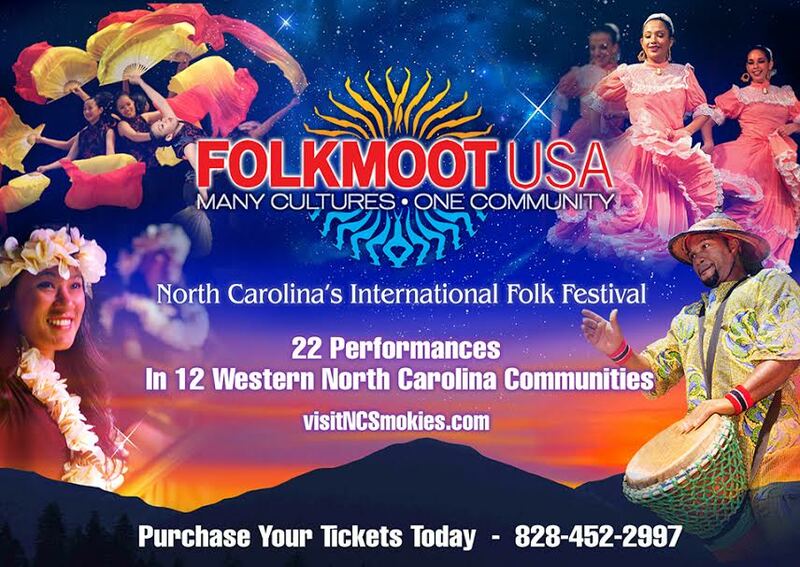 Folkmoot is an old English word meaning, “a meeting of people,” and that’s exactly what we are. Underneath the hustle and bustle of each festival – and soon, year-round events – there are just a bunch of people getting together to sing, dance, and have a good time. It’s merely coincidence that all these people are from different countries and an incredible amount of cultural enrichment ensues at every festival. Each year, prior to the festival, we are always focusing on differences. Different cultures coming together, different languages speaking together through music and dance, the sharing of ideas. As soon the festival begins, however, it is the similarities that become much more apparent: the smiles, the laughs, the hugs and the kisses; all the things that make us human and bring us together into one community. The cultural exchange starts to seem more like a byproduct of kids playing soccer or bands jamming together. This is what Folkmoot wants to foster: the vibrancy of many cultures in one community. Folkmoot is that one community, a place where people come together and are enriched by their differences as well as their similarities. Under the watchful eye of Executive Director Angie Schwab we are turning the Folkmoot Friendship Center into a new community of its own. It will no longer be known as the “old Hazelwood School.” The center is taking on a new identity as a year-round center for community development and educational and cultural enrichment. The vision for the center includes turning B-building into a hostel for traveling groups and performers. There is ample housing space and the cafeteria adds the benefit of food availability. The center will also host community celebrations, educational seminars and youth camps. Folkmoot is also striving to host a fall concert series in what is soon to be the newly renovated auditorium. This opens the opportunity for the possible showcasing of films, as well as local, regional, national, and international talent. The goal is to provide the community with a place where cultural enrichment can occur safely and happily year-round. This is important for our community to grow in its understanding and acceptance of different cultures. In addition the improved center will provide Folkmoot with the revenue needed to continue to prosper and grow through this generation and the next.